We are reckoned Manufacturer and Supplier of wide collection of Curtain Fabric, Auto Fabric, Shirting and Suiting Fabric etc. The fabrics are widely known for their smooth finishing, light weight, colorfastness, attractive print and tear resistance. With an aim to stand tall on the expectations of our esteemed clients, we are engaged in manufacturing and supplying wide gamut of Curtain Fabric, Made Ups Fabric, Upholstery Fabric, Textures Fabric, Auto Fabric, Furnishing Fabric, Damask Fabric, etc. 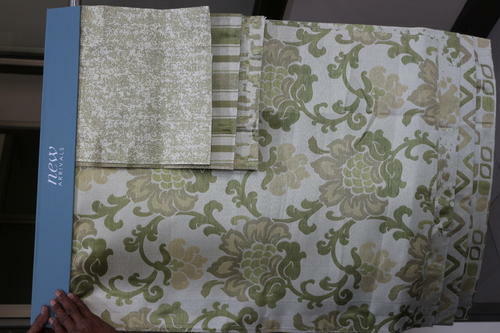 The offered fabrics are designed by making use of optimum grade yarn with the help of contemporary techniques in compliance with set industry norms. Moreover, these fabrics are checked for their quality on series of quality parameters before being supplied to our clients.